Jimmy Carter graduated from the Naval Academy on June 5, 1946. Chair, board of trustees, The Carter Center, Inc., 1986 – . Chair, Council of Presidents and Prime Ministers of the Americas, 1986 – . Chair, Council of the Internation Negotiation Network, 1991 – . Co-chair, Commission on Radio and Television Policy, 1991 – . Chair, Internation Human Rights Council, 1994 – . 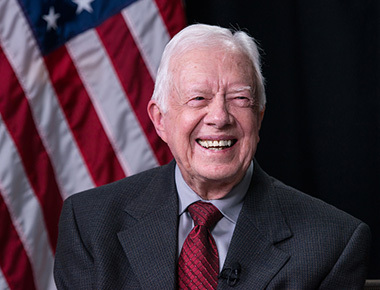 In 2002, Jimmy Carter was awarded the Nobel Peace Prize. Order of the Crown from the Kingdom of Belgium, in 2011.